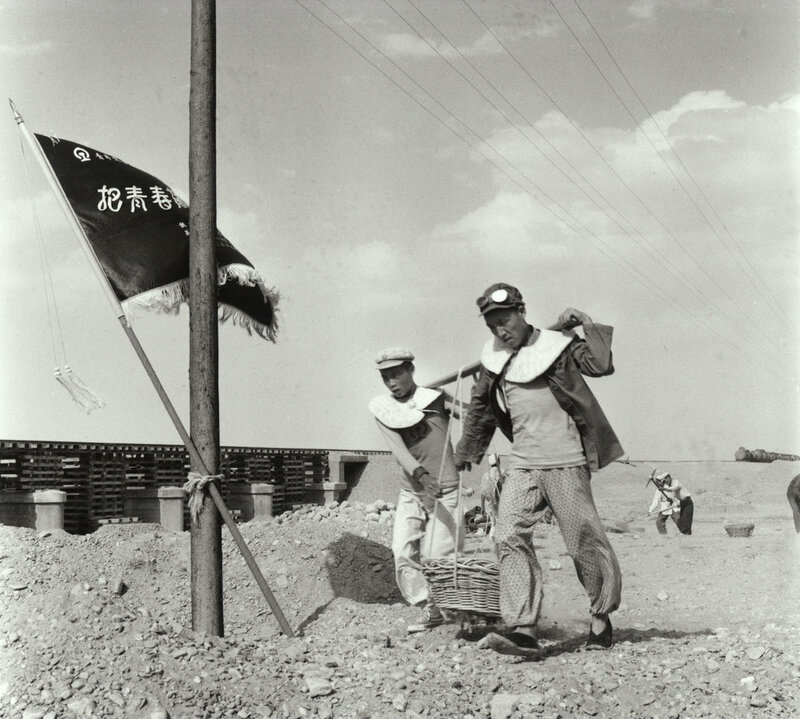 This is a selection from the exhibition Tom Hutchins – Seen In China 1956 presented by John B. Turner at the Pingyao International Photography Festival in September 2016. PhotoForum co-published the catalogue of the same name as PhotoForum #86. All of the photographs are copyright of Tom Hutchins Images Ltd., New Zealand. In four months, as an independent observer, he covered east China from Canton (Guanzhou), and Shanghai in the south, to Peking (Beijing), Shenyang, Anshan, and Changchun in the north. He also traveled northwest from Sian (Xian) to Wuhan, and across the Gobi desert to far west Urumchi. He seldom had long in any one place, excepting Peking, from which official permits, interpreters and "must-see" activities and developments were organised. 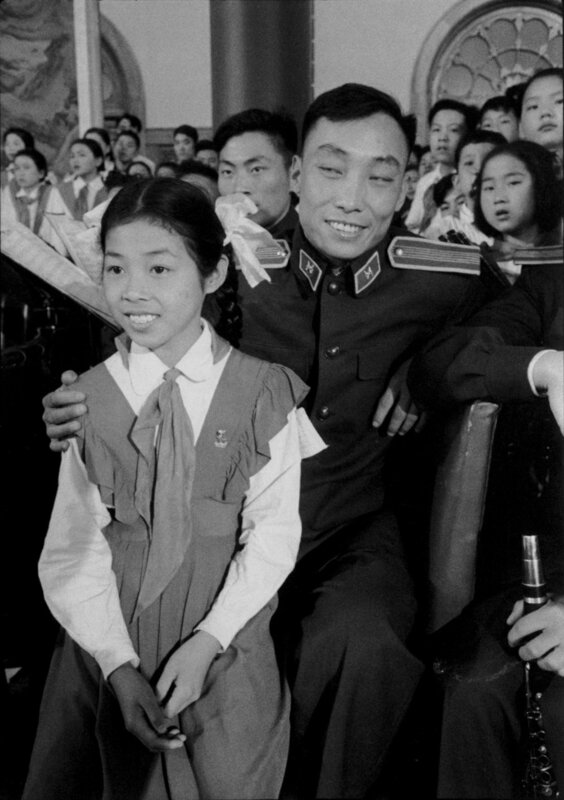 Despite numerous frustrating restrictions and delays, he took every opportunity to see what he could, to show the Western world what China was like during this first tentative "opening up" in the Cold War era. A nine-page spread of his work, under the title of 'Red China on the march' was published in Life magazine in January 1957, but unlike the famous French photographer, Henri Cartier-Bresson, before him, and Marc Riboud after, whose work influenced a new generation of photographers in China, Hutchins was unable to find a publisher for his book and his work remained virtually unseen until now. When rediscovered by John B Turner and Mala Mayo early in 1989, the great majority of Hutchins' collection of 600 prints, along with his books and papers from China, were damaged beyond repair. Consequently, the exhibition includes just a few original vintage prints, along with the many new digital prints made either from copies of later gelatin-silver prints or directly from the original negatives, made according to the late photographer's instructions. They represent a unique body of work that has been virtually unseen to date and still requires ongoing time and attention to fully represent the 6,000 images he made in China. — John B Turner, Beijing, China. Interview with John B. Turner 25 Remarkable Images Provide Rare Glimpse of 1956 China August 15th, 2016 by Matt Schiavenza for Asia Society blog. View a wider selection of images on John B. Turner’s website.